DOKU:TECH Finishes Chapter Three of its Journey! In the ever-changing landscape of the digital world, new technology trends emerge almost on a daily basis. Human curiosity, in all of its imperfection, is perpetually seeking answers to the vast unknowns of life only to find that, as Laura Mersini-Houghton said during her talk at DOKU:TECH Special Edition, “…we see more than ever, we understand less than ever.” As technology becomes weaved into our daily life, erodes our privacy, and is being entrenched unstoppably into the fabric of civilization, one can only ponder its effects and implications. The DOKU:TECH conference brought such topics in front of its audience and connected the curious minds with world class speakers, entrepreneurs and leaders, and created space and opportunity to learn practically about the latest trends in technology! With a dynamic schedule and diverse masterclasses and workshops, this year’s event presented the perfect opportunity for tech geeks to get more information on what makes today’s digital world “tick” and how the web functions, while delving into practical experiences with the help of qualified teachers, business people and digital entrepreneurs. Masterclasses ran on the 6th and 7th of August, starting from 11:00 and running until 17:00. “DOKUTECH was an intriguing look into the future of privacy and technology in a unique setting. 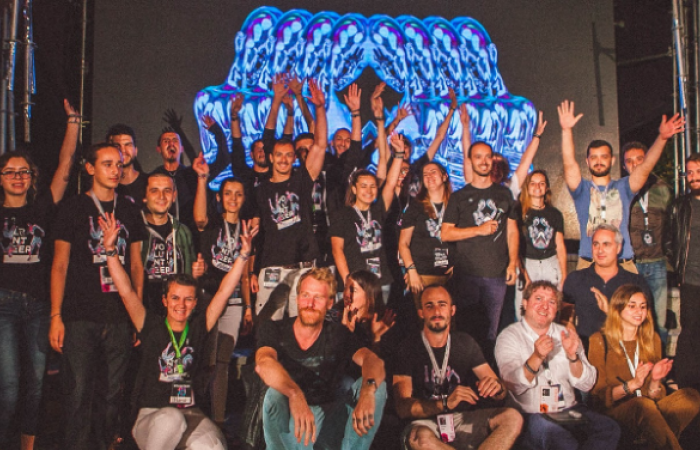 DOKU:TECH is a commitment of passionate people who work together inspired by technology, making DOKU:TECH a now traditional tech-event in the region of the Balkans. Nonetheless, nothing would have been possible without the help of our sponsors who believe in the ideals that DOKU:TECH Promotes, and we would like to thank each and everyone of them dearly for making the third chapter of DOKU:TECH a reality, and leading the way into the fourth edition! Norwegian Embassy in Prishtina, US Embassy Kosovo, Enhancing Youth Employment- EYE Project, Fondacioni Unë e du Kosovën, UNICEF Innovations Lab Kosovo, GIZ, IPKO, UNDP Kosovo, Suomen suurlähetystö Pristina – Embassy of Finland in Pristina, Birra Peja, Ujë RUGOVE, A.U.K – Training and Development Institute, Technomarket, RTK, Gazeta ‘Tribuna’,KOSOVO 2.0, Digjitale!